In the world of t shirt printing, there are many variables that you must be considered if you want your final product to turn out as you imagine it. It’s not as simple as design, paper, print. There are many varieties in garments, from quality to cut to type-of-fabric, and there are different methods that can be used to apply your design to a garment. The decisions made in these areas will drastically affect the feel and look of your shirt. The first step of the t-shirt creation process is, of course to choose the type of garment or garments that you would like to print on. 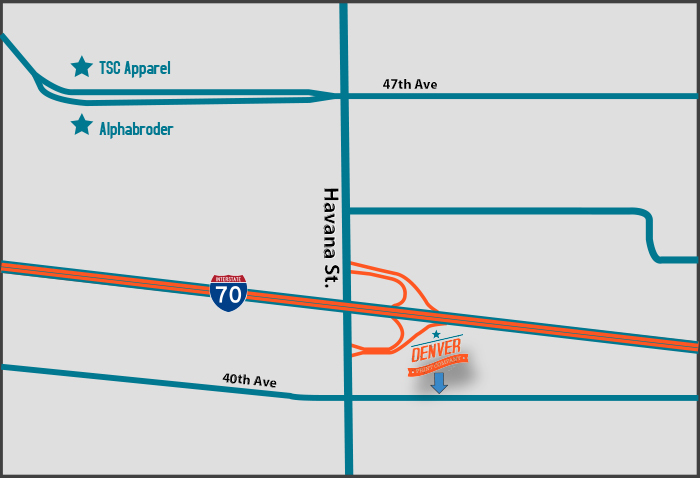 Denver Print Company carries all major brands such as Gildan, Hanes, Fruit of the Loom, American Apparel, Canvas, Bella, Dickies, Anvil, and Augusta. Each of these clothing brands have lines available in different color, thickness, fit, and size options. Picking the right type of shirt is crucial to your budget and to the people who will be wearing the garments. Denver Print does not keep many blank garments in stock, but we do use two suppliers, TSC Apparel and Alphabroder, who are right around the corner from our shop. Between these two companies, we are always able to find the perfect type of garment to make our customers happy. There is much to consider when choosing a garment type. For example, if you are hosting an outdoor event in the middle the summer, you might not want to select a thick cotton Gildan t-shirt. Your employees would much rather be in a thinner cotton American Apparel or Canvas t-shirt. Promotional giveaway shirts are always a crowd-pleaser, and to make this more affordable we offer Hanes and Anvil shirts. These are lower cost cotton t-shirts. A lower cost t-shirt will still last for several hundred washes without fading or stretching. Once you have selected your garment type, the next step is to select printing technique that you would like to use. “What do I care HOW you print my t-shirt,” you maybe asking yourself, “just print it.” With t-shirts, however, the printing method dramatically affects the final product. So you must choose wisely. The most popular type of t shirt printing, and the type we do most frequently at Denver Print, is screen printing. We also do embroidery, direct-to-garment, and dye sublimation. Another option is heat pressing. We don’t offer that option, as it is designed for one-off shirts and the quality is low compared to the other methods. This is the most common t shirt printing method. It is cost effective for large t-shirt runs and delivers a high quality, vibrant, and long-lasting result. Screen printing gets it’s name because the ink is pressed, one color at a time, through a woven mesh directly into the fabric of the shirt. A stencil is placed underneath the mesh to block the fabric outside of the design from absorbing any ink. One stencil must be created for each color in the design, which is why the cost of screen-printed shirts goes up with the more colors that are used. This method is cost effective for large t-shirt orders, because once a stencil is created, it can be used over and over again. 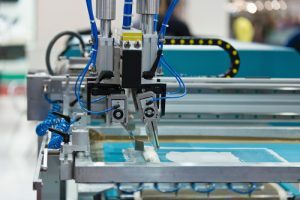 Other benefit of screen printing is that, unlike with direct-to-garment or heat press printing, light colored inks will be perfectly visible on dark cloth. If you intend to use a light colored design on a dark shirt, screen-printing may be to only way to go. Embroidery, of course, is technically not printing. It’s sewing. But it is a very popular method of apparel design, particularly for more high-end projects, such as uniforms or hats. Modern-day embroidery is done, like everything else, with the assistance of computers. 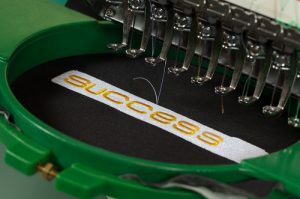 Nearly any design can now be converted into a stitch pattern and perfectly sewn by the automated hand of an embroidery machine. What this process lacks in romantic nostalgia, it more than makes up for by delivering a perfect result every time. This is a newer style of t shirt printing that allows for an image to be printed onto fabric, just as it would be printed onto paper. This method works great for more complex designs that would be difficult, or impossible, to produce via screen printing. It is also a cheaper option for small orders, as it by-passes the need for creating a screen printing stencil. A drawback of this method is that print does not show up as well on darker fabrics. It also tends to fade faster than a screen-printed shirt. If you still have questions about your t shirt printing or apparel printing project, please give us a call or fill out a quote form. We can help figure out what would work best for you and produce a custom quote for your project. Allow your shirt to have greater impact by investing in professional graphic design. A great shirt design can be of use for many years!